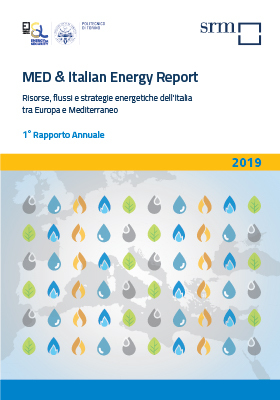 On Wednesday 3rd April 2019, SRM presented the First “MED & Italian Energy Report. Energy sources, flow and strategies of Italy between Europe and the Mediterranean”, at the Sala Assemblee, Palazzo Piacentini of Intesa Sanpaolo, via Toledo 177 (ex Banco di Napoli). The Report is the result of the synergy between SRM and the ESL@Energy Center of the Energy Department of the Politecnico di Torino. The Joint Research Center of European Commission and the Matching Energies Foundation also contributed to the creation of the Report. Among the speakers: Francesco Profumo, President of the Compagnia di San Paolo. 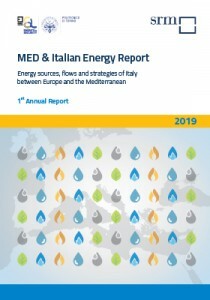 The MED & Italian Energy Report 2019 considers three main points. The first one aims at providing a picture of the energy scenarios at different geographical scales: global level, Mediterranean region and Italy (in the European context), in terms of resources, production, trade and consumption of energy commodities. The second one analyses the energy corridors and infrastructures, focusing in particular on the role of electric infrastructures in supporting the sustainable development, on the present and future scenarios for natural gas production, trade and consumption in the Mediterranean region and on the analysis of the major seaborne trade routes and maritime transport of liquid bulk. The third one investigates the Chinese investments in energy infrastructures at global level along the Belt & Road.